Today I had my usual weekly browse in Poundland, I remeber the days when each week there would be a new brand on the shelves that we all got excited about but recently I have been disappointed until today! There were 2 shades to choose from but at £1.00 each it was an easy decision to grab them both! 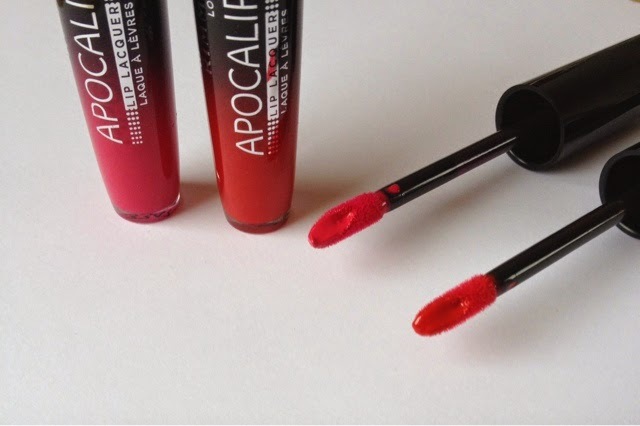 Apocalips are still in Rimmel's collection and they usually retail for around £6.49 each, however I have a feeling these shades are being or are already discontinued. The shade names are not on the packaging but they are a bright barbie pink and a scarlet red. The texture is very different, it's not a lipstick but not a gloss, somewhere in between but without the sticky feeling of a gloss, it's really smooth and creamy! As soon as I bought it this morning I have been wearing it and the staying power is fantastic! 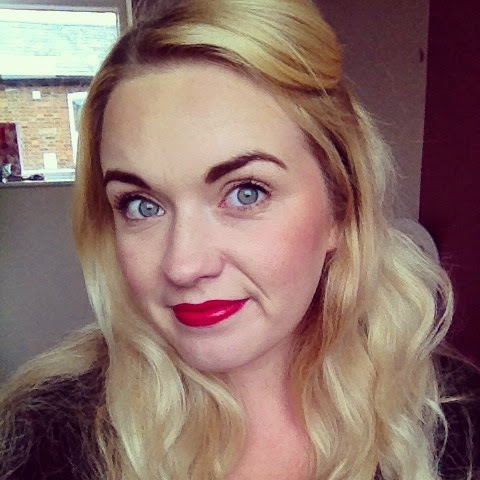 I love the texture, I love the colour pay off and I love how extremely easy they are to apply! 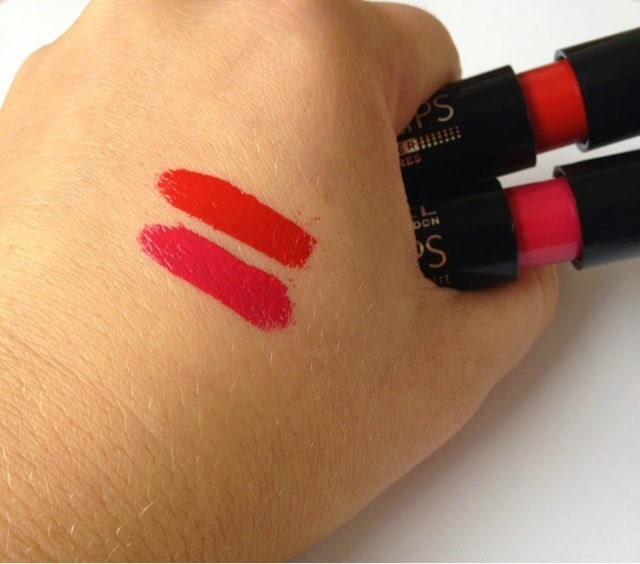 Have you tried Rimmel's Apocalips? Have you spotted them in your local pound shop yet? Oooo I'll definitely be having a nose in poundland when I next go past!